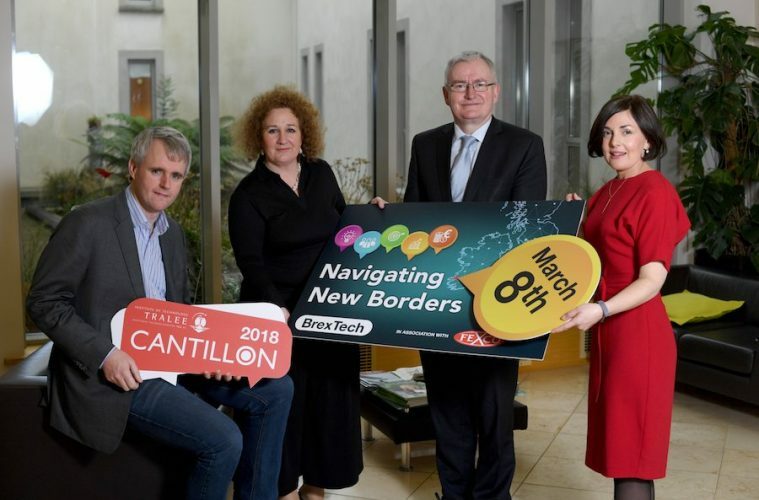 The Institute of Technology Tralee will host the Cantillon Conference 2018, in association with FEXCO, on Thursday 8th March in the Rose Hotel, Tralee. This hugely successful annual event brings together a host of national and international industry leaders, economists, journalists, academics and entrepreneurs each year to discuss key FinTech topics. This year’s conference will focus on the theme BrexTech – Navigating New Borders. A host of prominent speakers will examine the effect of digital borders that will be created as a result of Brexit, and examine how Irish business leaders can leverage new and emerging technologies to overcome these barriers. The conference will explore existing and future challenges that will change the way we trade, pay, transact, communicate and prepare for the future global economic landscape. MC’d by science and technology broadcaster Johnathan McCrea, Cantillon 2018 will welcome industry experts from companies including SAP, FEXCO, Goldman Sachs, Finukan Labs, EY, Mason Hayes & Curran, ViClarity and Colombia University, to lead discussion on the effect of Brexit on cashless payments. In recognition of the legacy of innovation and entrepreneurship that exists in Kerry and across the South West Region, the conference is named in honour of Ballyheigue native Richard Cantillon, an 18th-century banker, credited with the origin of the term entrepreneur and a pioneering economist. To purchase tickets for this event and for more information visit www.cantillon.ie.